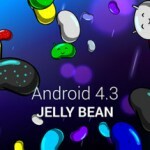 As predicted by us that a 14.2.A.0.2XX firmware will land as android 4.3 on both Xperia Z1 and Xperia Z Ultra and more specifically we mentioned “14.2.A.0.290” firmware and here it comes. 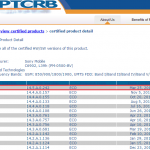 Finally PTCRB has certified android 4.3 14.2.A.0.290 firmware for both Xperia Z1 and Z Ultra on their site and most importantly the same firmware build is certified for both phones like previously Sony rolled out same firmware build on Xperia Z, ZL, ZR and Tablet Z. 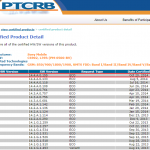 All variants of Xperia Z1 C6902/C6903/C6906/C6943 have been certified with Android 4.3 14.2.A.0.290 firmware on PTCRB website yesterday. 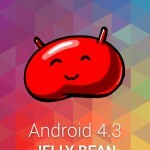 As per our sources the Android 4.3 14.2.A.0.290 firmware is still in testing and should come within 1-2 week before the employees leave for Christmas Holiday. 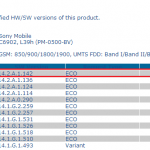 Another android 4.3 14.2.C.X.X firmware build is running on mysterious Xperia Z1 C6916 device which is expected to be unreleased LTE version of Xperia Z1 in US. 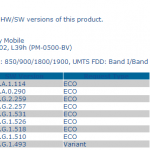 Meanwhile same Android 4.3 14.2.A.0.290 firmware has also been certified for Xperia Z Ultra C6843 on PTCRB website, though no firmware has been certified for Xperia Z Ultra C6802/3 yet. 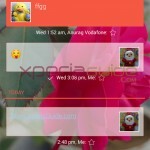 Yesterday we saw that Android 4.3 14.2.A.0.290 OTA update notification on a Xperia Z Ultra ( may be a developer handset ). 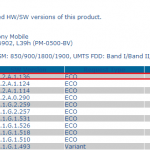 Above certification clearly suggests that now Android 4.3 14.2.A.0.290 firmware is not so far from rolling out officially on Xperia Z1 and Z Ultra. We will keep you posted as soon as it comes, do let us know if you have spotted above firmware rolling out on your devices.